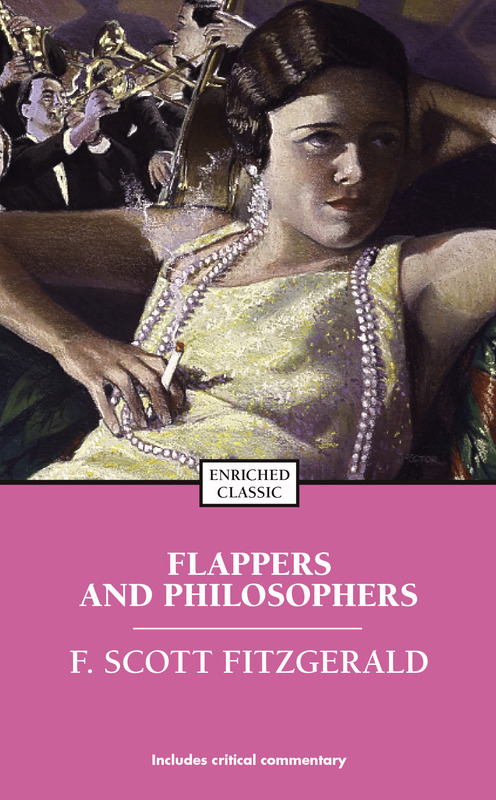 First published in 1920, Flappers and Philosophers marked F. Scott Fitzgerald's entry into the realm of the short story, in which he adroitly proved himself "a master of the mechanism of short story technique" (Boston Transcript). Several of his most beloved tales are represented in this collection of eight, including "Bernice Bobs Her Hair" and "Head and Shoulders," with their particularly O. Henry­like twists; the poignant "Benediction" and "The Cut-Glass Bowl"; and "The Offshore Pirate," the octet's opening and most romantic story. 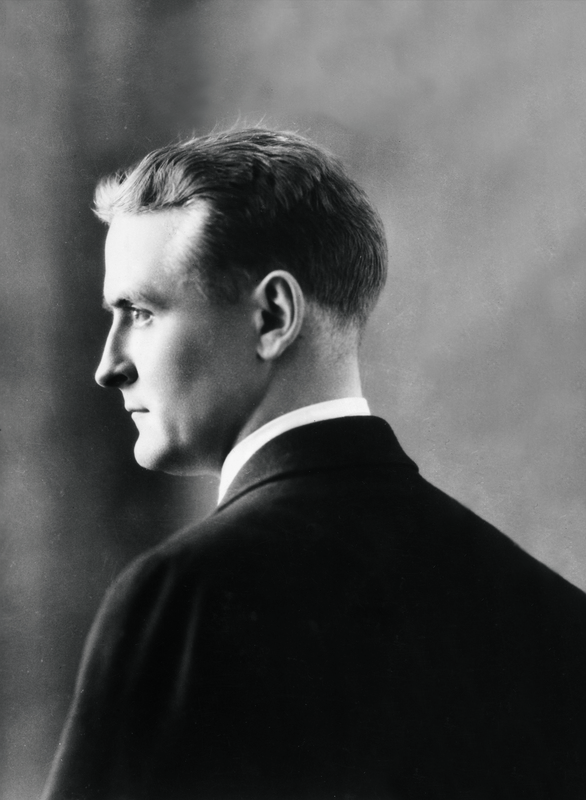 It is a collection of masterful short works from an American literary icon that led The New York Times Book Review to note that "[no one] can fail to recognize Mr. Fitzgerald's talent and genius." Pocket Books' Enriched Classics present the great works of world literature enhanced for the contemporary reader. Special features include critical perspectives, suggestions for further reading, and a unique visual essay composed of period photographs that help bring every word to life. This unlikely story begins on a sea that was a blue dream, as colorful as blue-silk stockings, and beneath a sky as blue as the irises of children's eyes. From the western half of the sky the sun was shying little golden disks at the sea -- if you gazed intently enough you could see them skip from wave tip to wave tip until they joined a broad collar of golden coin that was collecting half a mile out and would eventually be a dazzling sunset. About half-way between the Florida shore and the golden collar a white steam-yacht, very young and graceful, was riding at anchor and under a blue-and-white awning aft a yellow-haired girl reclined in a wicker settee reading The Revolt of the Angels, by Anatole France. "Will you listen to me -- or will I have to get a servant to hold you while I talk to you?" "Ardita, I have just received a telephone message from the shore -- "
"Yes, it was -- "
"Yes, and just now -- "
"No. It's run along the bottom. Five min -- "
"Well, it seems -- well, I am up here -- " He paused and swallowed several times distractedly. "Oh, yes. Young woman, Colonel Moreland has called up again to ask me to be sure to bring you in to dinner. His son Toby has come all the way from New York to meet you and he's invited several other young people. For the last time, will you -- "
"Very well. This is the last straw. In your infatuation for this man -- a man who is notorious for his excesses, a man your father would not have allowed to so much as mention your name -- you have reflected the demi-monde rather than the circles in which you have presumably grown up. From now on -- "
"From now on," he announced grandiloquently, "you are no niece of mine. I -- "
"If you dare do any -- "
"You've grown unbearable! Your disposition -- "
He paused and looked at her, and then all at once something in the utter childishness of her beauty seemed to puncture his anger like an inflated tire and render him helpless, uncertain, utterly fatuous. "Ardita," he said not unkindly, "I'm no fool. I've been round. I know men. And, child, confirmed libertines don't reform until they're tired -- and then they're not themselves -- they're husks of themselves." He looked at her as if expecting agreement, but receiving no sight or sound of it he continued. "Perhaps the man loves you -- that's possible. He's loved many women and he'll love many more. Less than a month ago, one month, Ardita, he was involved in a notorious affair with that red-haired woman, Mimi Merril; promised to give her the diamond bracelet that the Czar of Russia gave his mother. You know -- you read the papers." "I'm sure I couldn't say," said Ardita shortly. "Maybe because he's the only man I know, good or bad, who has an imagination and the courage of his convictions. Maybe it's to get away from the young fools that spend their vacuous hours pursuing me around the country. But as for the famous Russian bracelet, you can set your mind at rest on that score. He's going to give it to me at Palm Beach -- if you'll show a little intelligence." "How about the -- red-haired woman?" "He hasn't seen her for six months," she said angrily. "Don't you suppose I have enough pride to see to that? Don't you suppose I have enough pride to see to that? Don't you know by this time that I can do any darn thing with any darn man I want to?" "Very well," he said, "and you won't go to Palm Beach either. Of all the selfish, spoiled, uncontrolled, disagreeable, impossible girls I have -- "
Copyright &copy; Copyright 1920 by Charles Scribner's Sons; renewal copyright 1948 by Zelda Fitzgerald. Copyright 1920 by The Curtis Publishing Company; renewal copyright 1948. Copyright 1920 by Charles Scribner's Sons; renewal copyright 1948. Copyright 1920 by Charles Scribner's Sons; renewal copyright 1948 by Zelda Fitzgerald and Frances Scott Fitzgerald Lanahan. The New York Times Book Review On the whole, Flappers and Philosophers represents the triumph of form over matter....There is no telling what good fortune awaits this volume of excellent short stories....The ingenuity which marks his works he may consider a necessity in American fiction of today....Mr. Fitzgerald is working out an idiom, and it is an idiom at once universal, American, and individual.